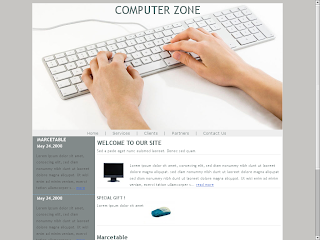 Hi after 1 week i am going to post my new business oriented design.I am very happy to see persons are coming to my site and downloading my templates.Now i have a designed a business template and i named as COMPUTER WORLD.This template is rich & it has passed XHTML 1.0 Strict Validations & CSS 2.1 validations. Nice!, keep the good work. I love all your templates.